Company chief says AWS is not building a commercial network switch. Amazon Web Services has denied reports that it is set to build its own network switches . “Cisco and AWS have a longstanding customer and partner relationship, and during a recent call between Cisco CEO Chuck Robbins and AWS CEO Andy Jassy, Andy confirmed that AWS is not actively building a commercial network switch,” a Cisco spokesman said. However observers were quick to point out subtle word games that might be at play here. Amazon might still be building its own network equipment, it's just not selling it to others. When news first broke out of AWS building network switches, Cisco's stocks have seen a substantial price drop – 3.1 per cent. Now, after Amazon's follow-up on the matter, Cisco's stocks jumped three per cent. 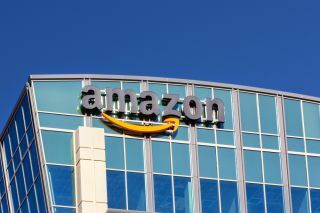 According to initial reports, Amazon Web Services was looking to build networking gear with more customization options. These customisation options should allow corporations to manage their data centre with fewer engineers, and that in the long run means – less expenses.